PRODUCTS MANUFACTURED IN OUR PARISIEN WORKSHOP. 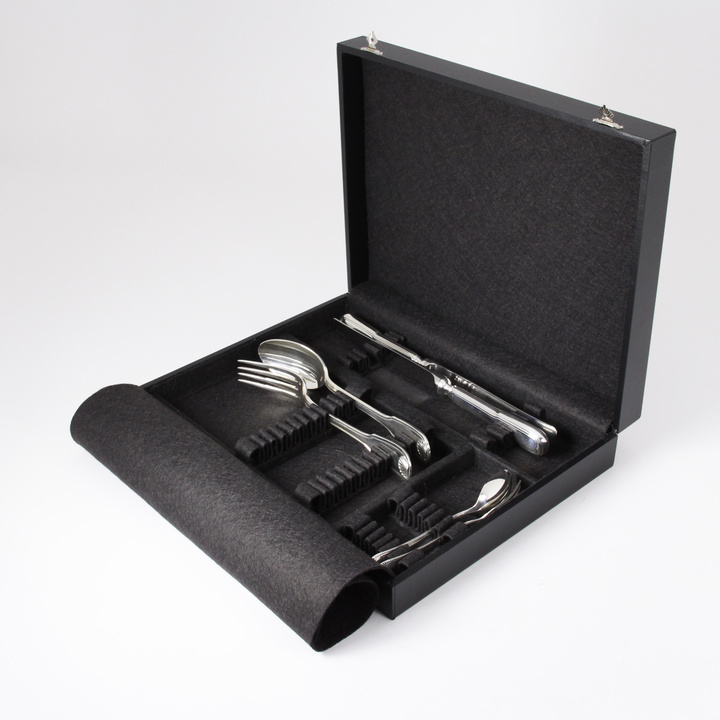 Boxes and boxes for flatware. 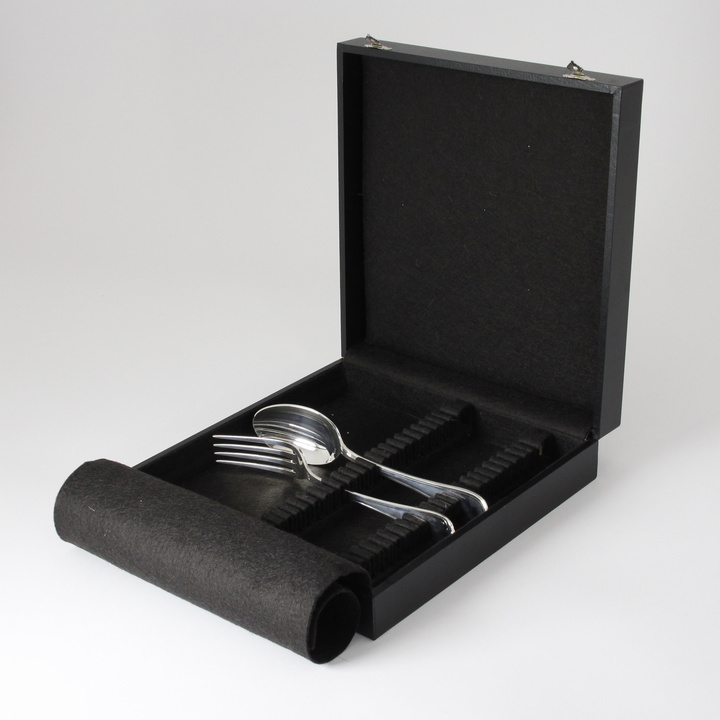 All our boxes and canteens for cutlery are wrapped inside with anti tarnish felt. 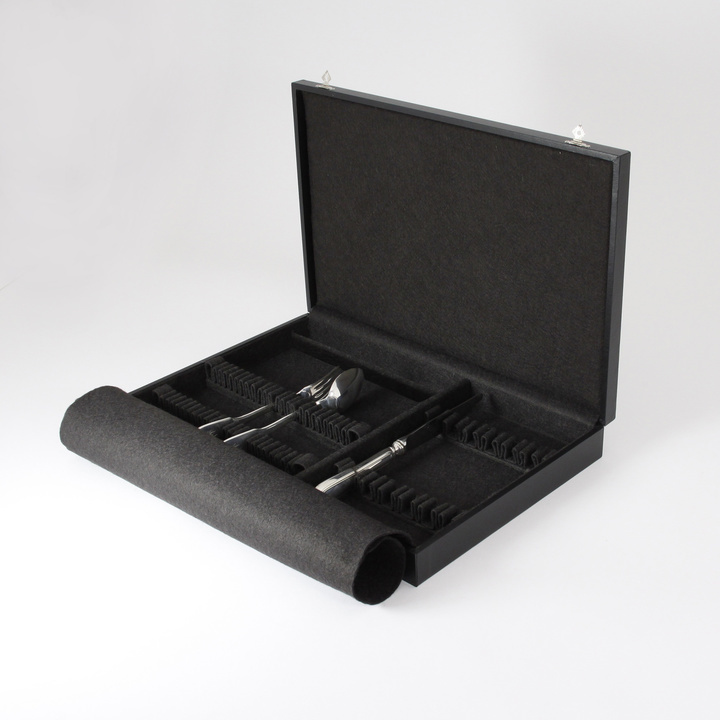 Our empty boxes for cutlery have a flap integrated in the box that allows you to cover your cutlery once stored in their individual homes and thus protect them from scratches and tarnishment. Our cases are made of medium (reconstituted wood) and covered with Ecorel, paper very resistant and perfectly imitating the leather grain. Do not hesitate to contact us if the box you are looking for does not appear. We will be able to propose you custom interior fittings.